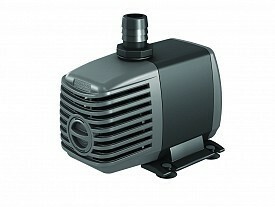 Choose a pump that was built to go below the waterline! Active Aqua's entire collection of pumps complete any grow setup, built for hydroponic systems, you can't beat the submersible line. All of Active Aqua's submersible pumps include multiple hose fittings so you get an exact fit every time. Each pump's poweful mag drive construction includes removeable foam filters, impellers, rubber mounting feet to reduce vibration, and a 6-foot heavy duty power cord. Adjust the pump's flow to get things moving at your preferred rate.